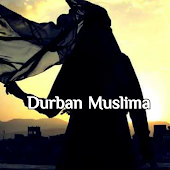 Durban Muslima: YOU ARE CARRYING THE NAME OF ISLAM ON YOUR SHOULDER, SO BE CAREFUL. YOU ARE CARRYING THE NAME OF ISLAM ON YOUR SHOULDER, SO BE CAREFUL. Several years ago, a Sheikh from out-of-town accepted a call to a town to propagates islam. Some weeks after he arrived, he had an occasion to ride a bus from his home to the downtown area. When he sat down, he discovered that the driver had accidentally given him 50 pence above his normal change. As he considered what to do, he thought to himself, 'You'd better give this money back. It would be wrong to keep it. Then another thought occur to him, "Oh, forget it, it's only 50p; who would worry about this little amount? Anyway, the bus company gets too much fare; they will never miss it. Accept it as a 'gift from Allah' and keep quiet. "When his stop came, he paused momentarily at the door, and then he handed the 50p to the driver and said,'Hear, you gave me too much change.' The driver, with a smile, replied,'Aren't you the new Sheikh in town?' 'Yes' he replied. 'Well, I have been thinking a lot lately about accepting Islam. I just wanted to see what you would do if I gave you too much change. I'll see you at mosque this Friday. When the Sheikh stepped off the bus, he literally grabbed the nearest light pole, held on, and said, 'Oh Allah, I almost sold Islam for 50 pence. 'Our lives are the only Quran some people will ever read. This is a really scary example of how much people watch us as Muslims, and will put us to the test! Always be on guard -- and remember -- You carry the name of Islam on your shoulders when you call yourself 'Muslims. 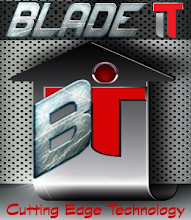 'Watch your thoughts; they become words. Watch your words; they become actions. Watch your actions; they become habits. Watch your habits; they become character. Watch your character; it becomes your destiny.